The crisis within the NHS is deepening, with finances at breaking point, internal organisational confusion and deteriorating service provision. The real-term cuts in funding across the NHS and Social Care is a real attack on working people, part of a fundamental ideological assault on public sector provision and social healthcare. Our work with those organisations committed to defend it should focus, at one and the same time, on both protecting services under threat now, and in the development of a radical vision for the future. A vision which is clear on the necessity for a massive increase in funding and in the elimination of private sector provision, but which also recognises that the current organisational and structural forms across health and social care are not sustainable for the future. My 33 year-long career within the NHS began as a hospital kitchen porter in the Manchester Royal Infirmary before moving into health services management in London. With hindsight a move motivated as much by the desperate lack of employment prospects in the North in the 1970s and 80s as by a naïve belief in the ability of progressive individuals in positions of influence to engender positive change. The organisational changes and financial pressures experienced over this whole period pale into insignificance compared to the current crisis – a direct result of the Health and Social Care Act 2012. A proportionally greater reduction in resources available to primary care and community health services coupled with Local Authority cuts to Social Care. Their combined effect, resultant from reduced service provision and an inability to maintain people in their own homes, is a perfect storm of reduced access to GP services; increased A&E attendances; increased emergency admissions to hospital; as well as patients staying too long in hospital with an increased risk of infection as a result. Hospitals’ inability to manage the overall emergency demand on their services means that inevitably their planned work – elective inpatient operations and day cases – are often cancelled. Whilst this used to be an exlusively winter phenomenon, many hospitals find themselves resorting to these measures throughout the year. For the first time now the NHS is failing every one of its waiting time standards, encompassing A&E 4-hour waits, 18 week maximum waits for treatment, diagnostic and cancer waits. Bouncing patients around different services and organisations; treatment delays; selection rules designed to deny people treatment and cuts to services. All these are symptomatic of the crisis affecting the NHS. In this year, organisations within the NHS will be expected to develop ‘sustainability and transformation’ plans. Unsurprisingly, they will only be deemed acceptable if they set out how they will meet the nationally imposed financial targets, expecting massive efficiency savings. For those working in the NHS, the pressures are worsening day by day. Vacancy rates for clinical posts have increased dramatically over the last two years – by more than 60% for doctors, and 50% for nurses. Hospitals are regularly forced to reduce medical care on wards because of difficulties recruiting agency staff, and in Accident and Emergency Departments many Departments could be understaffed more than 50% of the time based on a NICE report on recommended staffing levels (which NHS England tried to suppress). A sustainable, publicly funded NHS will only be possible with a dramatic increase in the absolute resources available to healthcare provision (currently equating to roughly 9.6% of GDP – the lowest in comparison to European peers) but alongside radical transformation. A socialist vision for health is not simply more of the same. The immediate task is to fight to protect services and jobs across the health sector. It’s also vitally important that we develop our position on those areas of healthcare policy which are often entirely ignored by those on the left, or else dismissed as cynical attempts by a hostile government to reduce costs or create a veneer of community involvement when in reality there is none. A transformed service will need to be fundamentally democratic in the ways in which it works locally and nationally; provide integrated services across primary, secondary and social care; and provide as much care as possible as close as possible to peoples’ own homes. I’ll deal with these three elements in turn. People taking more control over the decisions about their own care and treatment is a progressive and liberating step. The development of programmes such as the ‘expert patient’ are empowering and consciousness raising. Patients’ and user groups can be powerful agents for change, at least on the periphery of mainstream health services. On one level they can raise the profile of services under threat. At another they can influence the direction of service development locally. Whilst there are massive limitations to the extent to which these groups can be used, where intervention is possible it should be exploited. Bringing health within the purview of Local Government would be a fundamentally important step. This has an innately democratic aspect, but as well would enable the policy connections to be made with other key areas (such as Public Health, Environmental Health, workplace safety, Housing, Transport) currently working in relative isolation. NHS England has established its ‘lead provider framework’ for commissioning support services which effectively gives quality assured status to some of the largest private providers in the market who would be preferred bidders in competition. Integration of Health with Social Care. The boundaries between health and social care make no sense to users, and both should be free at the point of need. This would involve the sharing of budgets, but with a real additional investment pool. There are huge opportunities for seamless service provision, responding in a unified way as people’s support needs change. Integration between primary/community care with secondary (hospital) care in order to achieve seamless care across sectors with common clinical teams operating across whole care pathways. Transferring patients between organisations reduces the effectiveness of services and their ability to deal with someone’s total care needs. This is a problem within the public sector, amplified massively where services are handed over to the private sector. The elimination of the ‘purchaser/provider’ split. 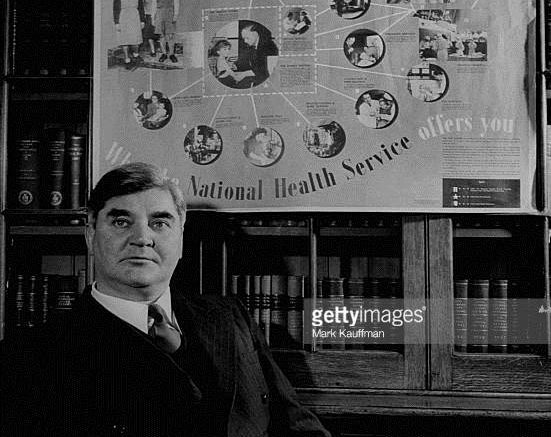 Deeply ingrained within the health sector is the commissioner/provider model established in the 1980s, actively pursued by successive governments both Labour and Conservative. The Health and Social Care Act of 2012 refined the rules around competition to an even greater extent, in order to open the health market even further to the private sector. It is an ideological construct based on the premise that competition improves quality and reduces cost. The reality is an increasingly fragmented service, failing to deliver basic standards of care, facilitating a lucrative market for the private health sector at ultimately greater cost to the state. In the end, only a democratised and unified service, with strong checks and balances with regard to protecting patient safety and quality, will deliver the high quality services needed. The transfer of care from big institutions to the community, whether long-term mental health facilities or acute hospitals, has been readily exploited by successive governments as an easy way of reducing expenditure. It often enjoys the support of large portions of health professionals who see the advantages of care delivered in a less institutionalised setting. However, the reality is that community based models of care are more expensive. The end result is that often the services on offer fail to provide the level of support needed. Also, the way in which funding is distributed within the NHS discriminates against community services in favour of hospital institutions. The development of community-based models is a process to be supported, recognising that hospitals are not healthy places to be and should be the solution of last resort. NHS culture is dominated by large hospitals which consume the bulk of resource – reinforcing institutional and medical power bases. But these changes will require real additional investment rather than simply a transfer of resource from large institutions. There is an important role for smaller hospitals and centres for specialist care but there should be as well a real investment in community provision and support in order to maintain people in their own homes with medical and nursing support where possible – particularly in relation to those with long-term medical conditions such as diabetes, heart failure and respiratory disease. The Party has worked hard to strengthen its involvement across disparate groups and to develop the People’s Assembly as one of the vehicles with which to challenge the threat to a publicly funded NHS. It is in an important position in helping to build a shared progressive vision and in setting out a distinct future-state for the NHS and Social Care – one which can help energise the struggle to protect the service as a whole. Be the first to comment on "The NHS in crisis"